Frankincense tears consist of the resin obtained from Boswellia carter, a species of tree native to Arabia, India and northern Africa. It takes between 8 and 10 years for these small, thorny, shrub-like trees to mature before the milky resin can be hand-harvested. 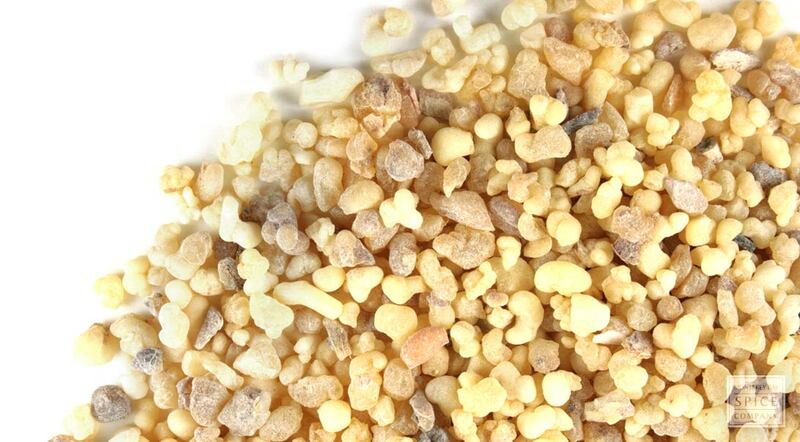 Frankincense granules are highly aromatic and are typically burned over smoldering charcoal bricks as incense. appearance & aroma Rock-like with a pleasing, exotic aroma. decorative Add to botanical displays and potpourri mixes with warm spices. aromatic Burn on smoldering charcoal as incense. industrial Frankincense is used in the cosmetic and perfume industries. 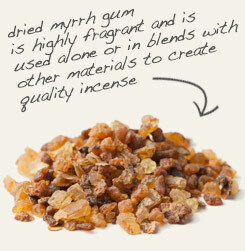 Frankincense and myrrh pair together beautifully in incense blends. 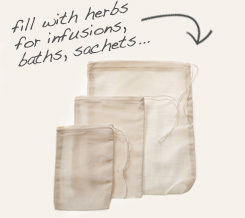 Fill muslin bags with frankincense tears to use as sachets for linens and drawers. Frankincense is the hardened sap that runs from a tropical tree in the torchwood family that grows in Asia and the Middle East. The resin “bleeds” from the scored bark of trees that are 8 to 10 years of age and quickly hardens to form “tears.” It is highly fragrant and most commonly used in this form as incense. Background: Frankincense has been used since ancient times. It is mentioned in the Bible. Jews use frankincense as a ceremonial incense as an offering. In Egypt, frankincense was used to paint the eyelids of women. It was also used as a hair remover and perfume. Frankincense is used most commonly as an incense that provides vapor. Description: Frankincense is obtained from a tree called Boswellia Thurifera. It grows in African and Arabia. It is obtained by cutting into the trunk of the tree and allowing the resin to harden to be harvested.